It was a very balanced version of El Clásico for the first 12 minutes. Adam Hanga shined early to keep Barcelona within 15-14, but Madrid found the way to extend its margin to 22-17 at the end of the first quarter. 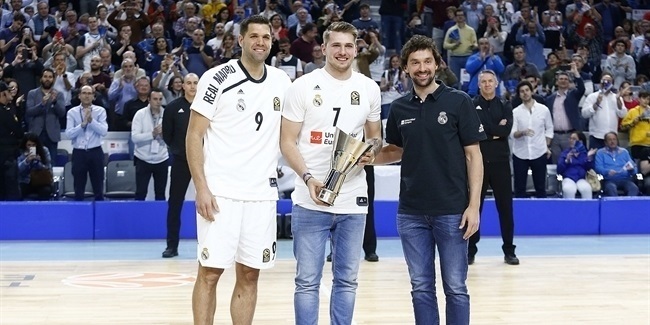 That is when Madrid found its go-to guy in Jaycee Carroll, whose shooting exhibition broke the game open. Madrid head coach Pablo Laso has found clever ways to maximize the effectiveness of his sharpshooter. Although he plays less than 19 minutes on average, everyone on the team knows two things: 1) when Carroll is on the court, he is Madrid's first option on offense, and 2) when he starts hitting shots, keep getting him the ball, because Carroll can be unstoppable. This is exactly what happened in the final 8 minutes of the second quarter against Barcelona. Carroll had 15 points in that time, hitting 4 of 4 two-point shots, 1 of 2 three-pointers and 4 of 4 free throws. He did not score again, but it didn't really matter. 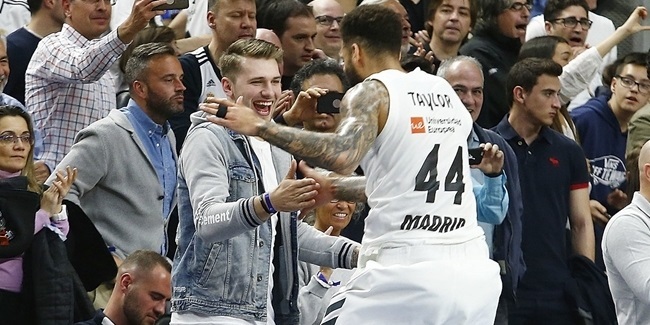 Trey Thompkins added 8 points during the same span, and by the time Facu Campazzo hit one of the longest shots possible - from 23 meters at the halftime buzzer – Madrid led 53-30 at halftime. With his 15 points on Thursday, Carroll has now scored 1,999 in EuroLeague action – all with Real Madrid. Carroll ranks 29th on the all-time scoring list, but he's 13th when it comes to most points scored with only one club. It is no surprise to see Juan Carlos Navarro on top of the list with 4,152 points; he is the all-time top scorer and played his whole EuroLeague career with Barcelona. Vassilis Spanoulis is second; he has scored 2,964 of his 3,867 points with Olympiacos Piraeus. 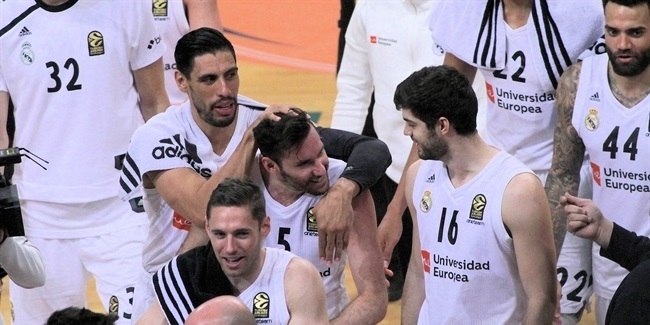 Two of Carroll's Madrid teammates are in the top five: Felipe Reyes ranks third with 2,862 points and Sergio Llull fifth with 2,658. Milos Teodosic is 10th on this list with 2,142 points for CSKA Moscow. The players right ahead of Carroll are retired (J.R. Holden, 2,044 points for CSKA) or out of the competition (Luis Scola, 2,054 points for Baskonia Vitoria-Gasteiz). Carroll may be 35, but Madrid has already signed him to a contract for next season, so his points are sure to keep piling up. On Thursday, he added another scoring exhibition to his reputation, that of a truly legendary shooter!